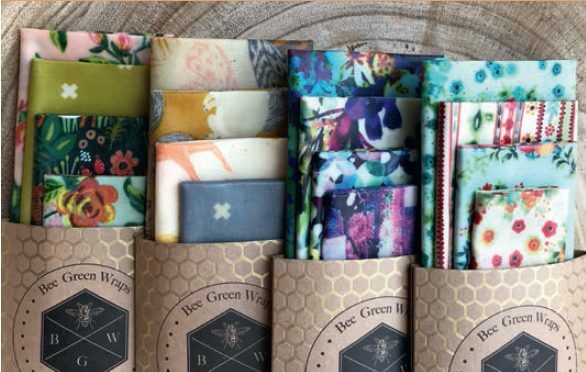 ‘Bee Green Wraps’ were created out of a desire to provide an affordable alternative to plastic cling film, plastic zip-lock bags and tin foil. Made from sustainable organic bees-wax, they are entirely biodegradable, reusable and chemical free. They look beautiful and smell great, too! 100% natural and reusable. No need for plastic lunch boxes or cling-film covered food. Versatile, mouldable, strong and water resistant but best of all they are re-usable!